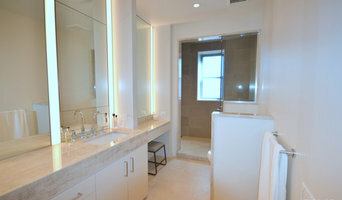 I am a small business that specializes in tile and stone installation as well as bath remodels. I have 27 years experience and have worked in both commercial and residential jobs over the years. I like to be hands on with all of my jobs and do not count them complete until my customers are happy. Centuries worth of knowledge and innovations in natural stone restoration, marble cleaning, and grout sealing methods. All workers involved are highly skilled Artisan stone specialists with a minimum of 5 years within the industry. Artisan Stone & Mosaic specialists are artists at revealing the original beauty and integrity of natural stone and tile surfaces. An improved model based on a similar service focused on tile cleaning, grout sealing, and recaulking. Due to recent innovations in tile repair, grout restoration is still available, and now with the extra component and expressive tone of all things related to natural stone restoration and marble polishing. Artisan Stone & Mosaic will stand by their quality assurance and provide a custom warranty for all work completed prior to any work agreement. This allows for an attention to detail which identifies the proper conditions and customized work order that your Chicago stone restoration, tile deep cleaning, and grout repair job demands. Chicago Location: 1220 West Lake Street Chicago, IL 60607 P: 312.421.4949 T&M opened over seventy-five years ago with the mission to provide high quality products along with superior customer service. Today, T&M is a leading supplier and distributor of some of the most beautiful stone and terrazzo products imaginable. T&M allows architects, designers, and specifiers to approach each project with confidence. Focusing on the specific customer, our team will use its vast industry expertise to tailor T&M products to meet individual requirements. As an employee owned and operated company, T&M takes great pride in our business and places the highest value on customer relationships. Our commitment to quality products and service will continue to be a focus as a growing, innovative and trustworthy company. Frank Zanotti Tile & Stone Co.
Frank Zanotti learned his trade from his father and grandfather in Italy. He brought this knowledge to the North Shore over 50 years ago when he began his own business. Trained employees providing quality workmanship have resulted in satisfied customers throughout the area. Frank Zanotti Tile & Stone remains a small family-owned business that provides personal attention to our customers. We do not sub-contract out our work to other tile installers or stone fabricators. We are fully insured. Tile and stone products may be used in a variety of ways — flooring, countertops, backsplashes, fireplaces, patios, pools and more. Tile manufacturers keep coming up with new styles, sizes and types of tile to provide various design possibilities, whether it be retro, classic, or contemporary. We can work with you, your designer, and/or your builder to help get the look you want. Our ultimate goal is customer satisfaction, providing quality product and installation at a reasonable cost. 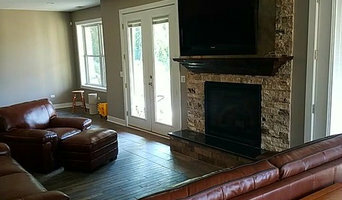 Please contact us for a free estimate on your remodeling or new construction needs. Frank Zanotti Tile & Stone Co. 6 Walker Ave. Highwood, Illinois 60040 p:847.433.3636 f: 847.433.8950 e-mail: info@zanottitile.com Hours: Mon – Fri 9am – 5pm, Sat 9am – 3pm Extended hours by appointment **We carry exquisite Italian products from Emil Ceramica, Ergon Engineered Stone, Viva Made, Provenza, EmilGroup, Atlas Concorde, Cerdisa, Lea Ceramiche, Unicom Starker, Monocibec Ceramica, CISA, Panaria, + many more! STONE EXACT provides the customers with the gorgeous bathroom and kitchen countertops. We take the utmost care about every single client that walks in our door. Creativity is one of our biggest advantages - projects are always unique and obviously, tailored to the customer’s needs. In our work, we use many kinds of stones, so everyone can find something proper to his needs. Therefore, you can find quartz, granite and marble countertops in our offer. It’s important to stress that we help all the way from the planning stage to the complete installation. Our friendly experts do their best to explain everything what’s unclear. With the countertops we offer and professional craftsmanship, we can prove you that the price can go hand in hand with the quality. In the world of natural and engineered stone counter tops, Rogan Granite and Marble sets itself ahead. With over 40 years of experience, few others match our skill, diversification, and passion for stone work. We combine state of the art technology in granite fabrication with one of the largest granite facilities in Northwest Indiana and the South Chicagoland area. We offer more than 100 species of marble and more than 200 species of natural granite, marble, quartz, limestone, travertine, and slate in a wide variety of colors to suit most needs. Our professional and dedicated staff will assist you in the design and selection process to ensure the most functional and pleasing setup. We provide complete and professional installation in our service area and our experienced crew will ensure your utmost satisfaction. No matter the species of beautiful stone you are looking for, Granite and Marble depot will deliver and install in your kitchen, bathroom, floor, tabletop, or any other area you prefer. We use state of the art technology to deliver the best quality at the best prices. We adhere to our Total Quality Management system and provide total customer satisfaction. We build our business client by client. Our pledge is to make you proud and gain your confidence to refer us to your family and friends. Thank you for your trust in GMD and we look forward to delivering excellence. We're your local countertops specialists. With years of experience in measuring, cutting, delivering and installing granite countertops, quartz countertops, and marble countertops, we're the experts to call if you want beautifully formed, durable, classic, natural stone,quartz or marble countertops. 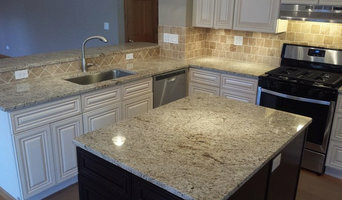 We do top quality installations of kitchen countertops, bathroom countertops, laundry room and workspace countertops; wherever you need a long lasting, versatile and functional work surface. For the budget minded, we offer cheap granite countertops or cheap quartz countertops so you can get the high-end look you want at an affordable price. Our professionals are some of the best installers in the industry. Call for your free estimate today!